Demetrius Jackson, the artist known as SIC ILL from Tacoma, Washington is proving why he's one of the best netcees on the web. 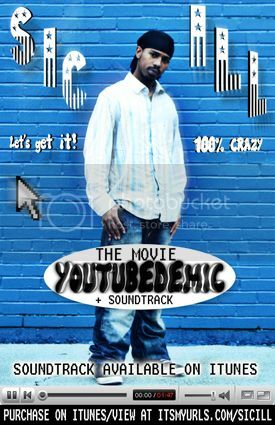 He recently finished a self-produced/directed full length movie/musical "YOUTUBEDEMIC" and it's accompaning soundtrack on iTunes. This is the first rap "musical/music album" video and uses all 22 songs and lasts over an hour and fourteen minutes.